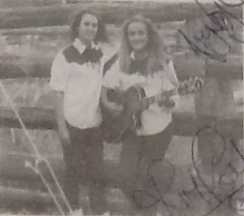 Pauline & Jenny began their career in country music in 1975, at 12 years of age, singing their hearts out in the Rollingstone Hotel. Twelve years later, in 1987, and thousands of concerts and festivals down the line, the Gottani Sisters were working hard to promote their unique modern harmonies to the people of Australia and abroad. 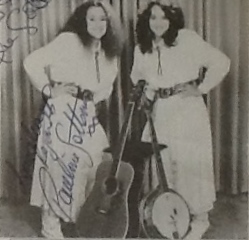 The sisters moved to America and worked consistently touring as backup singers with some of the big names of country such as George Jones and Janie Frickie. They have done numerous television shows and have supported other greats like Johnny Cash and Gene Pitney. Their album “Drops of Water” was the record company’s third best seller after Buddy Williams and Nev Nicholls. Kim and Amanda have been singing from the ages of 8 and 6 years respectively. Their first appearance on stage was at Ingham’s Maraka Festival with their sisters, Pauline and Jenny. Also in 1982 they won an Encouragement Award at Charters Towers. Since then they have been developing their own style. In 1986, in Atherton, they came second in the Duo Section, and since have sang in various parts of the Townsville Region. In 1987, Kim aged 15 years and Amanda aged 13, won the following awards – 1987 Charters Towers competition Amanda was 1st Junior Vocal, and together they were 3rd in the Duo Section, 1987 Rockhampton they were awarded 1st in the Duo Section, and Kim won an Encourgement Award. Amanda achieved 3rd in the Junior Vocal, and in the Country Gospel section they obtained 2nd as a Duo.